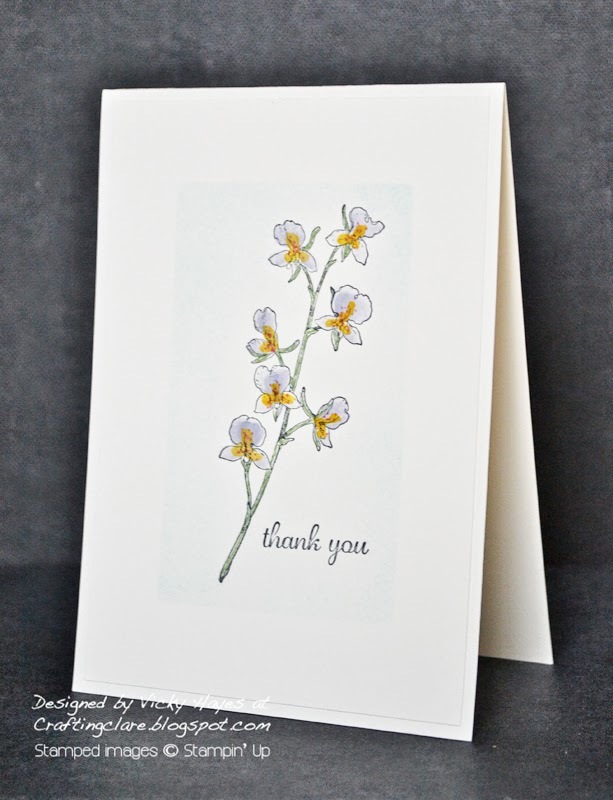 ... here's a slightly different version of the card using Wisteria Wonder ink. Moving the sentiment to the right makes for a more balanced layout I think. Wisteria Wonder is a great colour for fragile-looking petals and again I added a zing of Crushed Curry with Strawberry Slush dots. • Happy Watercolour is only available for one more week - so don't miss out! Click here to find it in my online shop. • You can join Stampin' Up for just £50 this week too. Find out all about it here. I'm getting increasingly anxious about our little cat Tuppence. She hasn't been well all through the winter but suddenly she seems to have a new lease of life and a disturbing personality change. She's gone from being our tiny, timid little housecat to some kind of gangster kitty, patrolling the street, practically wearing dark glasses and chewing gum, and terrorising other animals whether feline or canine. One of my neighbours even mentioned that Tuppence hissed at her from the top of a wall as she passed by! Help! Both great watercolour examples Vicky. Is one of the kids putting something into Tuppence's feed bowl per chance? 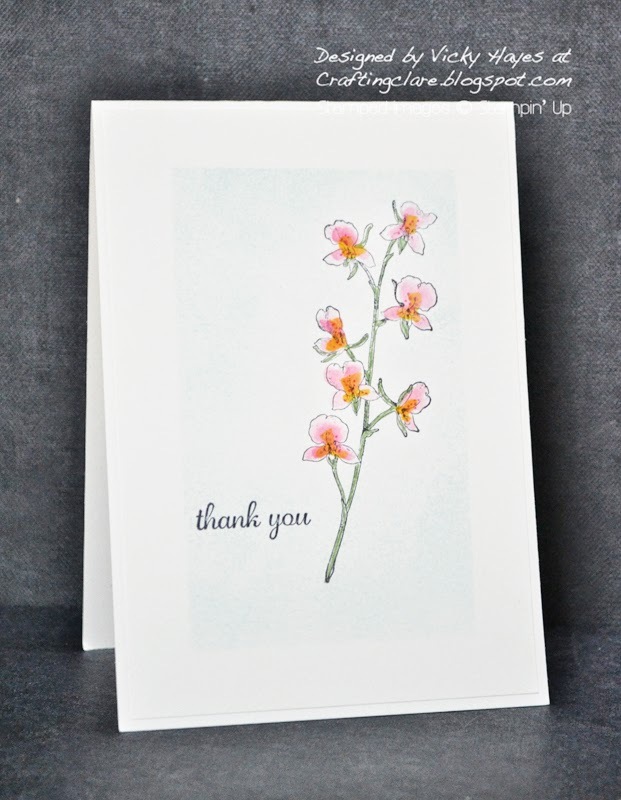 Love this delicate sprig Vicky, so pretty. Your colouring is wonderful! Just realised that your last two posts didn't show up and there was me thinking I wasn't having any problems with blogger! Gorgeous - love the way you created your frame with the soft sky sponging! What delicacy Vicky, a great colour selection for each card too.